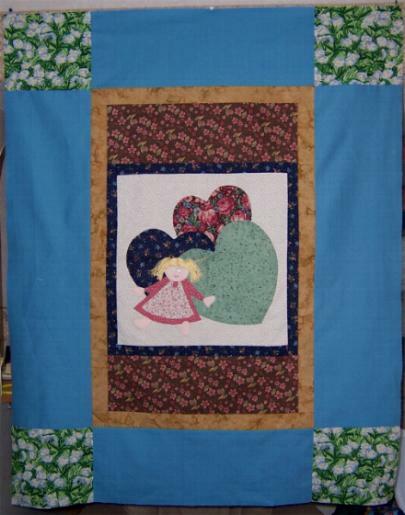 Gabriele in Phoenix, AZ, donated the little girl in the center block. 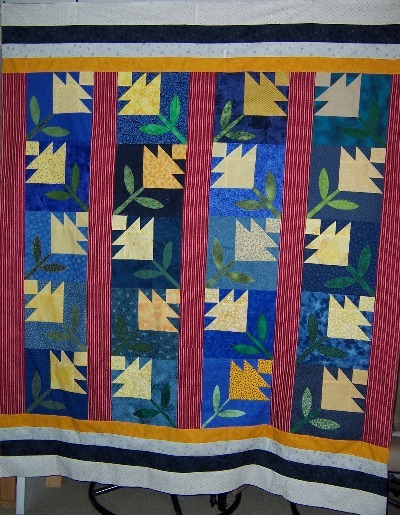 Some of the additional fabrics were donated by Robin in ID The squares are yet more that I had left over from other projects. 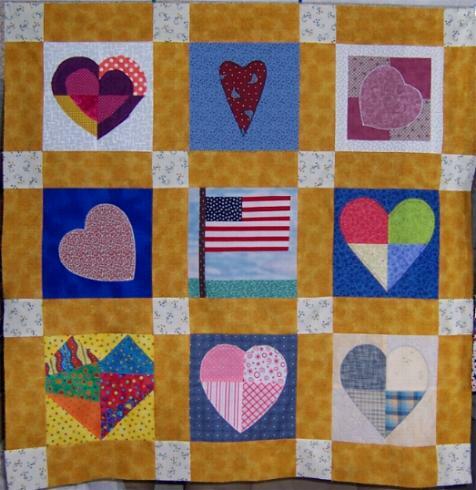 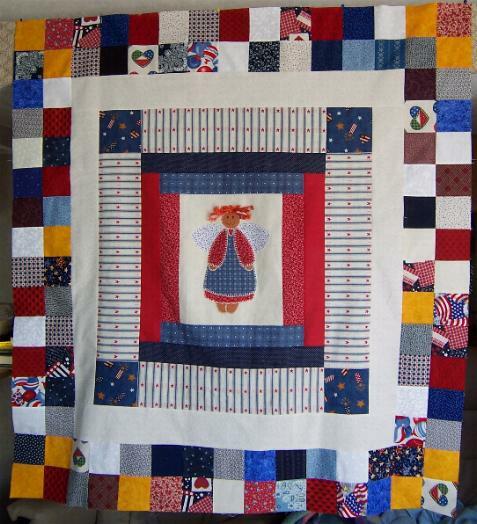 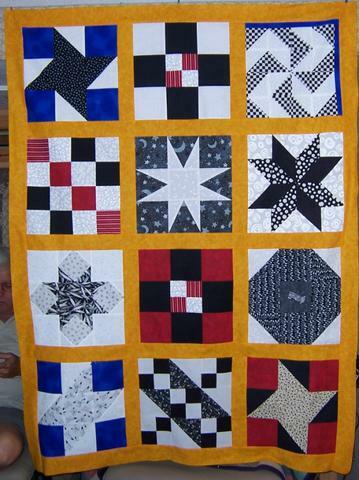 Fran in CA donated the little girl in the middle of this quilt.